The causes of migraines are primarily neurologic, but also involve genetic factors. Symptoms, including premonitory symptoms, aura, headache, and postdrome phase, involve dysfunction in several parts of the brain, pain pathways, and brain chemicals. There are also many exacerbating factors that are associated with the triggering of migraines. You suddenly feel tingling in your face and start seeing strange shapes in your field of vision. If you have experienced this before, you know that you are at the onset of a migraine, called the prodromal phase, and can anticipate your symptoms as the headache progresses. If you have not felt this before, it can be a strange and scary experience. Once the symptoms are identified as premonitory symptoms of a migraine, a few steps can be taken to try and prevent them in the future. In order to do this, it's important to understand what exacerbates them. Migraines can present differently for each person and will be triggered differently as well. Poor sleep quality and obesity have both been associated with increased migraine frequency and severity. Sleep apnea, jaw clenching, or teeth grinding may also trigger migraines. These things may exist together, as those who are obese may have sleeping disorders, such as sleep apnea. 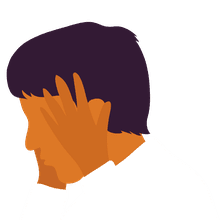 Migraine headaches are often made worse by constant movement, physical exertion, rapid head motion, sneezing, or straining. Certain psychiatric conditions may also impact migraine frequency. Caffeine can be a trigger as well. Women may be prone to migraines since estrogen has several important actions in the central nervous system. Usually, menstrual migraines occur within a window of two days before the onset of period bleeding to three days after the onset of bleeding. Estrogen may affect some chemical mediators, such as magnesium, which may alter the excitatory and inhibitory neural pathways in the brain. When estrogen concentrations decline in the brain during your period, serotonin concentrations decline too. This causes a release of substances that cause vasodilation (widening) of cranial blood vessels and sensitization of specific nerves in the brain that may lead to the symptoms of a migraine. It is believed the pain that follows a migraine with aura is due to something called cortical spreading depression. This is when parts of the brain become depressed, causing inflammatory changes in the pain-sensitive parts of the brain that generate the headache of migraine. Sensitization is the process by which neurons, the cells in the brain, become increasingly responsive to stimulation. This is likely the cause for many of the clinical symptoms of a migraine, which includes worsening of pain with certain motion, sensitivity to painful stimuli, throbbing sensation, and even increased sensitivity to painful things that may not normally cause pain. Some studies have shown that some people with migraines have altered blood flow to areas of the brain that involve migraine symptoms. Structural changes in the brain have also been identified. It is very difficult to pinpoint the genetic basis of migraines because it is likely a complex interaction of many factors. However, migraines are probably inherited. In fact, there's a higher rate of both twins having migraine headaches in identical twins, with the same genetic makeup, versus fraternal twins, with different genetic makeup. The risk of a person having a migraine is three times greater if they have relatives who also experience migraines. There are a few abnormalities in the neural pathways of the brain that have been identified in certain groups and individuals who get migraines that are linked to genetics. However, genes do not act alone—additional environmental factors make individuals more prone to migraines. Researchers are still looking for the exact genetic causes so effective treatments can be created. The evidence is currently conflicting, but associations have been made between migraines and a congenital heart defect called a patent foramen ovale. A patent foramen ovale, also known as a right-to-left cardiac shunt, is when the hole between the right and left atrium doesn't close at birth. Other congenital heart defects, such as an atrial septal defect, have been linked to migraines. The mechanism as to why this might occur is not completely understood. It's possible that an underlying genetic basis ties the two conditions together. Other theories involve the change in direction of blood flow with these heart defects. Migraines can be debilitating and a big cause of stress in and of themselves. Many migraineurs perpetually fear the next occurrence, worrying about where they can go lay down at a moment's notice. It is important to know your body and its limitations. Having a plan in place, such as a relative who can pitch in immediately if needed, may help to alleviate some of the stresses that migraines cause. There are doctors who specialize in migraines within the field of neurology who can help offer treatment, along with lifestyle modifications, depending on your symptoms. You should seek out the help you need and try to be patient with the progress because it may be a long road to finding a solution.